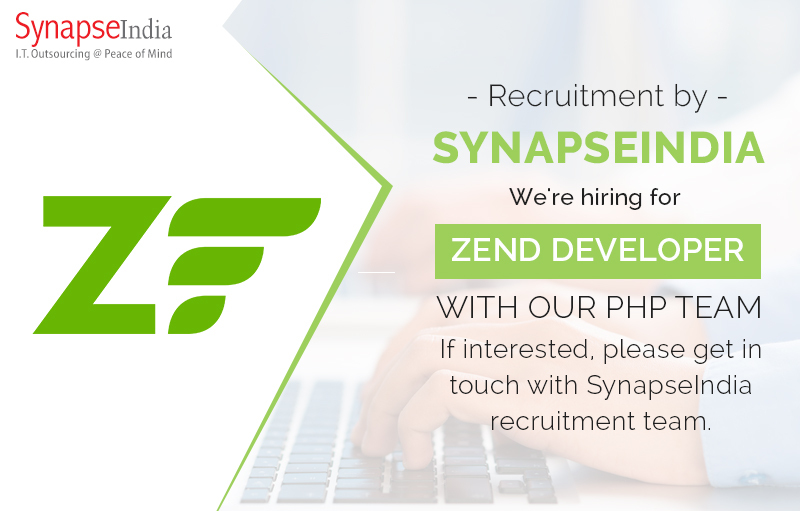 SynapseIndia recruitment team is hiring for Zend developers for its Noida office. SynapseIndia, well known IT solutions provider company in Noida, offers innovative Zend based solutions that enhance revenue & communication. Our expert Zend developers work closely with clients in order to develop the solution that exactly fits the requirement of clients. The candidate should have progressive development experience to apply for Zend developer position with us, primarily focused on web applications. Exposure to web application development using ZEND framework will be preferred. For more information or to apply with us, kindly get in touch with SynapseIndia recruitment team.